It's not stealing it's smart ... Device simply pulls WiFi from up to 1/2 mile away from spots that are already giving it away for free! Important note: If there are no locations within 1/2 mile providing free (or non-password protected) Internet then this device will not be able to provide Internet connection. The key is knowing your location is within 1/2 mile of a free spot and then you'll be able to get online all the time at no cost. 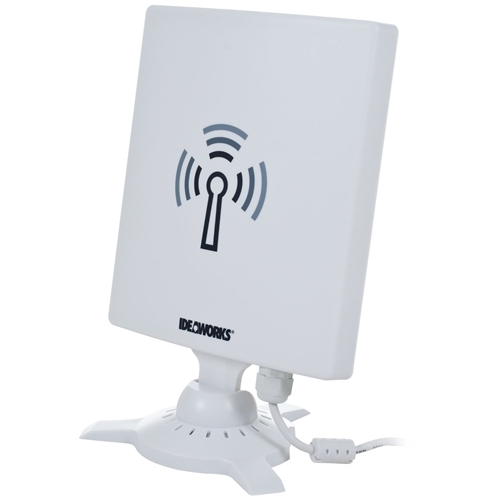 We can guarantee your school will provide you Internet access from your dorm room. But it can't be guaranteed that that Internet connection will be working all the time, or maintain a fast connection. 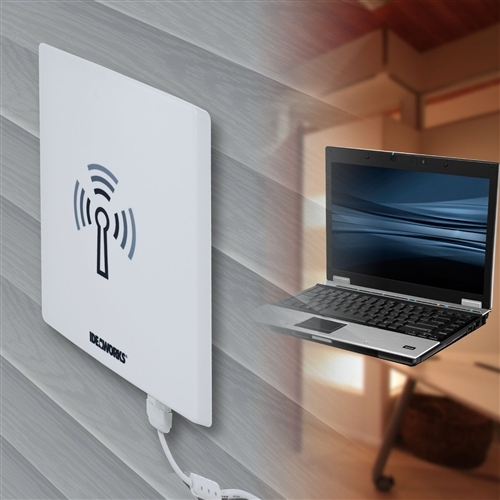 If your Internet connection is spotty, this Internet Hot Spot - WiFi Antenna (Gets You Online) will be one essential dorm room supply. 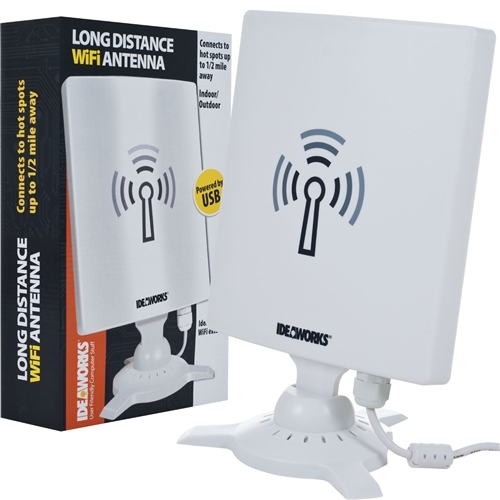 This cool college item grabs free WiFi within a half mile radius and uses those signals to connect you to the Internet. Free WiFi is all over the place. If there's a coffee shop near you, you can be sure there's free WiFi in close proximity. Your dorm's main floor and lounge area might also offer free WiFi. So when all your dorm mates are complaining about slow Internet connection, you can use this cool dorm gadget to keep you connected. 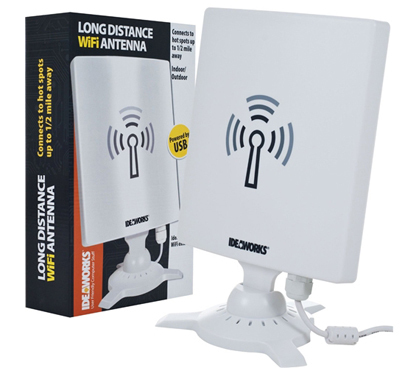 This WiFi Antenna can be taken on the go for ideal use, as well. If your favorite spot to study or write papers happens to be a bench under a tree, you won't have to worry about not being ale to connect to the Internet even when you're outside. Since so many stores and shops offer free WiFi—it's a big draw for customers—finding an Internet signal is usually no problem. Also, while it's common to steal Internet from accounts that aren't password protected, you won't be stealing a thing by using this antenna. All that Internet is free, anyway, so no need for a guilty conscious here. Cool dorm stuff that's functional and serves a unique purpose makes the best college supplies, as this antenna is one high-tech yet still very practical college item.